The Elite Quad Chair by Caravan Sports is the newest addition to their luxury seating line. The built-in armrest cooler holds drinks and snacks and a mesh cup holder is conveniently located on the arm rest. The Elite Quad Chair also has a tablet/magazine holder to keep personal items within arm's reach. This premium chair has a padded seat, padded backrest, and padded, adjustable armrests. The Elite Quad Chair by Caravan Sports is the newest addition to their luxury seating line. 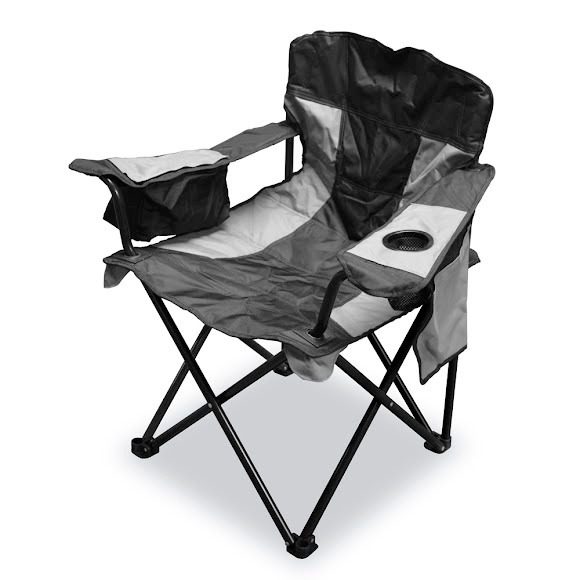 The built-in armrest cooler holds drinks and snacks and a mesh cup holder is conveniently located on the arm rest. The Elite Quad Chair also has a tablet/magazine holder to keep personal items within arm&apos;s reach. This premium chair has a padded seat, padded backrest, and padded, adjustable armrests. Measurements 22.83" x 22.83" x 37"